Hi, Gina! We’re so glad you’re joining us. We’ll get to the whole writing thing in a minute, but first, can you tell us a little about who you are when you’re not writing? Wow, a loaded question. How do you put all of who you are into a short answer? I’m a dreamer and always have been, believing that I could do big things if only given the opportunity and guidance! I have big dreams and big plans (not a lot of know-how or successes yet, LOL,) but have learned over the years that sometimes I get ahead of God or totally off his path. I try, I fail, I dream some more, and I love to encourage others in their dreams! I’m also learning that if I’m pursuing God’s dreams for my life than no matter how small I think they are, they’re all BIG in His eyes! I know writing is a big part of who you are and what you do, but if you weren’t writing, what would you be doing and why? Ballroom dancing! It’s my new passion. And when I’m not writing, or doing family stuff, that’s what I am doing! It challenges me mentally and physically, and feeds my soul! I only wish I had more time and money so I could grow as a dancer, but I know there will be a time and season for that! Ballroom dancing? Wow. I never saw that coming, but it sounds like fun. So, if you could give one piece of advice (not writing related), what would it be and why? Be content in all things! Enjoy the moment or the season of life you are in. This is advice I’m still learning, but I’ve come a long way. I often look to the future instead of enjoying the present. But in the last six years or so, God has been teaching me to slow down and enjoy where I am. There are blessings to not having a contract. No real deadline and pressures of having to write. I’m enjoying the fact that I really don’t have to write right now, and I can goof off with my kids or girl friends if I want to. There will come a time when I won’t be able to procrastinate, so I’m enjoying this season of life before the next one hits. That’s so wise–enjoy now. It’s sounds like freedom, but there are always challenges. So what has been your greatest challenge in life so far? How did you handle it? Every season of life has a greatest challenge. In college it was when I went on an eight month missions/journalism internship to Nigeria by myself. It wasn’t exactly what I had thought it would be, though through the pain and trials God met me in an intimate and sweet way. The same could be said about the years I homeschooled my children, and the years spent struggling to get published. All bitter sweet growing moments with Jesus. I think it’s times like these, when we need Jesus the most, we feel him the strongest! Maybe that’s why he sends trials our way. If we didn’t need him in that way, we might never reach out to him during the good times. So true! You have to go through some valleys to realize God’s not just waiting for us on the mountain somewhere at the peak experiences. He’s in the valleys too. Now, for the moment we’ve all been waiting for… Tell us about your current writing endeavors. My debut book released on January 1st, a great way to start the new year! It’s a 4-1 collection, and my novella, Buried Deception, is about a Mount Vernon archaeology Intern and widow Samantha Steele who wants to make a good impression at her orientation, but her babysitter gets sick and she’s forced to take her rambunctious children to work. There she has a run in with security guard and ex-cop Nick Porter who’s haunted by his past. Through several mishaps, a forgery is discovered, and it’s up to Samantha and Nick to set aside their stubbornness, and rely on each other to catch the thief …or the results could be deadly. And the cool thing is you can get it on Kindle! Awesome! You so know I’ll be accosting you about putting in Fill Your Kindle Or Nook! Where else can readers find you on the ‘net? I blog at Writer…Interrupted every Friday and on my personal blog, Defying Gravity, which encourages others to reach for their dreams. I’m also on Facebook, Twitter @GinaConroy and guest posting all over the web this month. More than writing, I love to connect with people, so don’t be shy! Drop me a note! So thankful to have you for a guest but more over for having you as a friend! Thanks for stopping by! 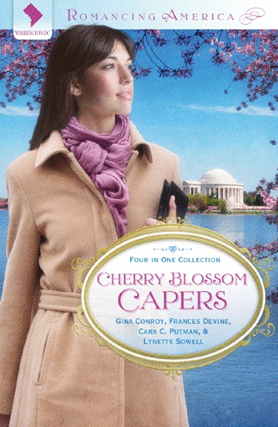 Cherry Blossom Capers now available on Kindle! Four townhouse neighbors encounter romance and mystery near our nation’s capital. In State Secrets, White House assistant chef Tara Whitley and FBI agent Jack Courtland stop a plot to sabotage a State dinner—and find love still hidden in their hearts. In Dying for Love, attorneys and opponents Ciara Turner and Daniel Evans uncover love while searching for justice. In Buried Deception, archaeologist Samantha Steele and security guard Nick Porter dig up love while uncovering a forged artifact. In Coffee, Tea and Danger, amateur sleuths Susan Holland and Vince Martinelli find love while investigating a string of mysterious accidents. Great questions, Staci! I enjoyed this one! Thanks so much for coming, Gina. Best of luck with the new book. God’s blessings to you! 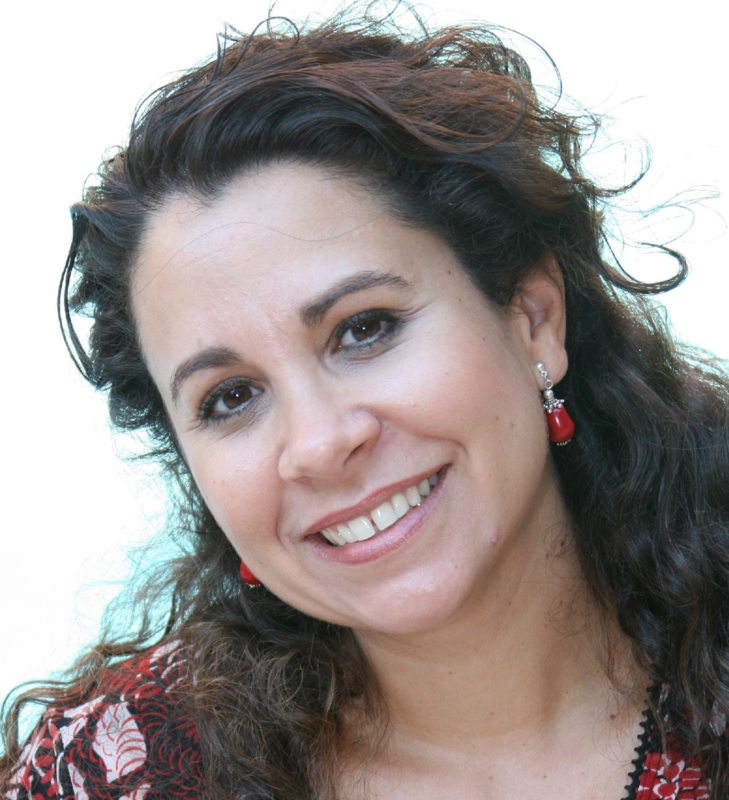 Gina, enjoyed your interview and wish you the best with your writing. Your books sound good. Thanks, Staci, for your neat blog.